The Institute for International Research (IIR) is currently seeking presenters specializing in Futuring and vision. The 18th Annual World Future Trend event is in the midst of a major transformation. From the name to the people who will come. We’re scouring the earth for disruptive thinkers – our goal is to unite innovators to collaborate across functionalities - from insights to brand design to trend watchers to futurists to marketers to strategic planners to C suite leadership… We are not looking for good or great. We are looking for the most future forward, smart people in the world to come together and share their inspiring stories that will result in commercial impact. We are searching for practical wisdom. The entire event will focus on the HOW not the WHAT. We are on the hunt for groundbreaking. If you are an authentic visionary and want to share your story to help people across different cultures and business ensure relevance for the future – then we invite you to submit an idea. Our goal is to revolutionize this event from a conference to a blended learning experience to accelerate future growth. While our event title is in limbo – thanks to all your feedback - we know the event will be focused on “Prediction to Implementation: exploratory learning experience for synthesizing world trends, brand strategy, innovation and human science into a future action plan”. 1. TOP TRENDS revealed from trend experts around the world. Is this you? If so, email us. 3. Exploratory Learning: Putting trends and ideas into practice in real time. Workshops and field trips are some potential ideas – but we are open to more. Can you facilitate a workshop? Do you have an idea for a nontraditional experience? If so, email us. **We are particularly interested in storytelling workshops by filmmakers or Hollywood producers as well as a 3D printing workshops. If you can help bring mind-blowing content delivered through extraordinary experiences email us. Due to the high volume of submissions, we suggest you submit your proposal early and no later than 7 June, 2013 to Romina Kunstadter, Conference Director. To submit your proposal, please email RKunstader@iirusa.com. Presenters receive FREE admission to the entire 3-day conference. We are currently looking for client-side case studies ONLY (for consultants, vendors, and solutions providers, please additional information below*). 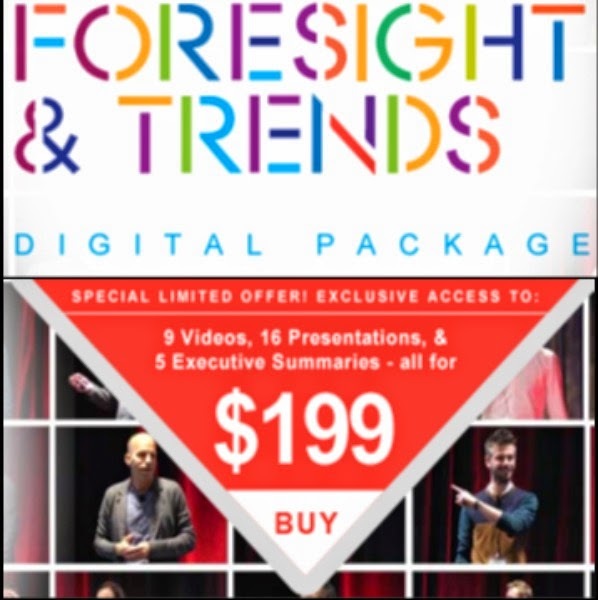 *INVESTING IN FUTURE TRENDS 2013: If you are interested in investing in this event as a sponsor please contact Jon Saxe at JSaxe@iirusa.com. CALL FOR PRESENTERS: For consideration, please e-mail Rkunstadter@iirusa.com with the following information by 7th June.